Easy operation, minimal maintenance requirements. This machine is employed in grain grinding after the corn and coarse grain being hulled. This results in large grits, medium-sized grits, and power three end products, making it ideal for use in coarse grains processing, improving the taste of corn and coarse grains, and increasing the nutrient value of coarse grains. 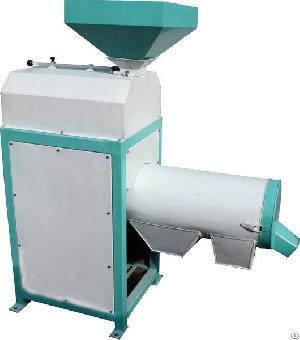 The machine is suited for corn grain processing plants and serves in complete production line.